Owning a home has been the American Dream for generations, and while many still seek the biggest house their money can afford, for many buyers and current homeowners in the United States, finding a smaller home has become very appealing. Throughout the U.S., homeowners are jumping on the downsizing bandwagon, and with the current trends of tiny homes and minimalism becoming more and more popular coast to coast, there are many homeowners and buyers looking into smaller homes and the many benefits provided by downsizing. Smaller homes just cost less to live in (depending on the location). 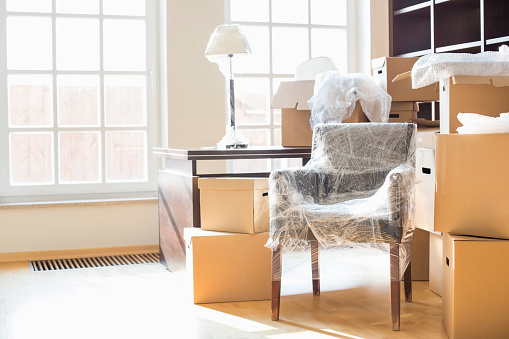 Downsizing can provide a number of financial benefits and help save money in the long term. By downsizing, many homeowners can reduce or eliminate mortgage payments (a reduction in the monthly amount, or even paying off the loan sooner than expected). Downsizing or buying a smaller home can also mean deductions in other areas pertaining to home ownership: lower property taxes, lower property insurance costs, reduced utility costs and much more. If you’re moving from a high-cost area, you may also experience a reduction in the overall cost of living, and if you’ve built up a lot of equity in your current house, downsizing to a smaller and less expensive home can actually free up that extra money for immediate use or saving all of it since federal tax law may well eliminate taxes on any gain from the sale of your previous home (verify your specific situation with a tax professional prior to the sale of your current property). While a ragtag mix of second-hand furniture might be perfect for the rented college house, for many adults a design-savvy décor is often sought-after when it comes to a furnished house to call home. With a large house, the cost of furnishings and other design elements can run into the thousands, and if you or your family members happen to have luxury taste, costs could go even higher. 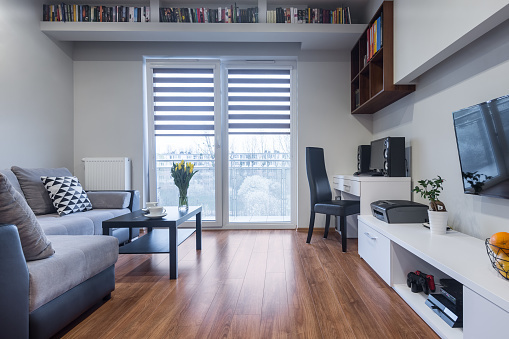 Downsizing to a smaller home gives homeowners the ability to optimize the small spaces: for example, going from a house with a family and living room to just a family room can mean splurging on a nicer sofa or bigger television when only one room needs to be furnished, not two. Downsizing to a smaller home can also mean getting rid of all the items you’re currently not using, which for many American households, is quite a lot of stuff. For many in the U.S., being more conscious of the environment and ‘living green’ has become a way of life. Homes are not excluded from an environmental footprint, and for those looking to reduce their own energy consumption, downsizing can provide that opportunity. 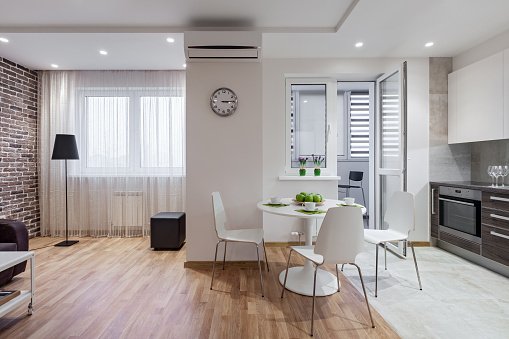 A smaller home means less heating and cooling of the property, a reduction in electricity use, and overall less waste. But it’s not just an environmental footprint that can benefit from downsizing — homeowners can also find it more affordable to upgrade a home’s current systems to more environmentally friendly and energy efficient technologies when the home is small and more compact. Thinking About Downsizing? Talk to your agent! Your real estate expert can help you determine the current market value of your home, as well as provide you an advanced look at what to expect as you seek to purchase your new one.